Mike Lowe is a consultant in the field of organisational team performance and conflict resolution, specialising in dealing with the “elephant in the room” – issues of trust and relationships. Mike has 20 years international trustbuilding experience. For much of the 1990s he ran courses in Eastern Europe focusing on trustbuilding and principle-centred leadership, including two programmes with the Ukrainian Parliament, universities, youth parliaments and civil society. Since moving to Australia he run programmes with the Islamic Council of Victoria, and done conflict resolution work in Solomon Islands with former militia commanders and with police. He refers to trust as the “elephant in the room” because mistrust is such a huge problem. Managers spend between 25-60% of their time dealing with conflict. Employees spend, on average, over 2 hours per week in conflict. Behind these statistics are people feeling judged, misunderstood, angry and resentful. This has a massive knock-on effect on team performance and interactions with customers and suppliers. It doesn’t have to be that way. 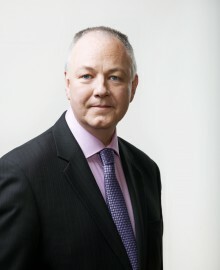 Mike has developed his own methodology as well as incorporating best practice such as Talent Dynamics. As Stephen MR Covey says: Trust is the one thing that changes everything. It is the difference between a bunch of workers in a communist factory and a Formula 1 racing team. He passionately believes that by building better relationships we build a better world. Mike is known for helping people discover the riches that come from embracing diversity, and to help people experience the incredible buzz that you can only get from being part of a high-performing team. Have you ever seen the power of harmony in action? The energies flow through smoothly and unhindered. Blockages wither away and every path is of least resistance. Every element seems to shine like a star. I had the pleasure of speaking with Mike Lowe recently, Owner of Discover the Other. He teaches a system that creates flow and harmony within groups, teams and companies. When he used his system on my team and I, we were just blown away! This new energy surged through us all and things just started to *CLICK*. If you, or someone you know, wants to learn more about group dynamics, and how to achieve true FLOW in a group or team, please have a look at http://www.discovertheother.com.au/. They're doing some amazing work which I feel has long-term implications for everybody. I am very much about enhancing people's talents/gifts as the key way to lift performance.Talent Dynamics is a brilliant tool I use personally. Mike Lowe is brilliant too, as he is gifted in teaching people how to make best use of the talents the profile identifies.